«©NCSX» The 150 songs of the Bayonetta game are captured on five CDs of the Bayonetta Original Soundtrack published by Wave Master. The discs are accompanied by a booklet which lists the songs and include commentary from the composers and game director. 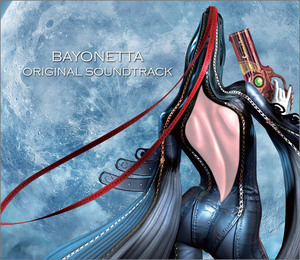 All the audio goodness of Bayonetta is collected in the official Bayonetta Original Soundtrack which spans five discs of music. Bayonetta is a stylish and cinematic action game, directed by creator Hideki Kamiya and being released on the Xbox 360 and Playstation 3. From what we've seen of Bayonetta, she'll never be described as a shrinking violet or a timid bookworm.